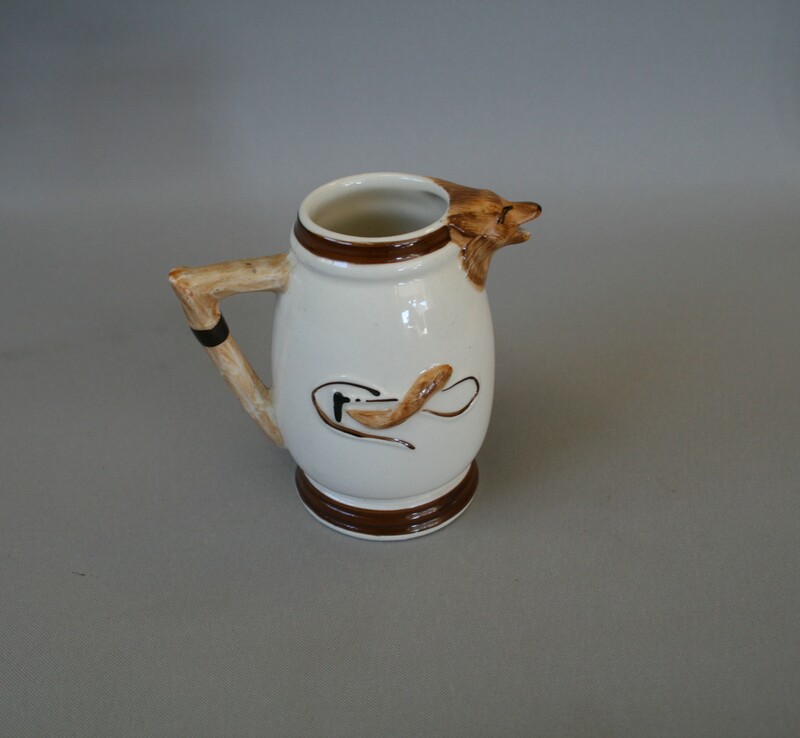 A small cream jug with a hunting scene. 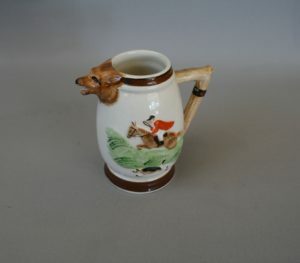 The spout is a foxes head. 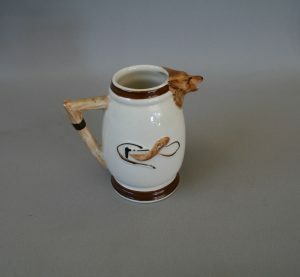 Made by Keele Street Pottery, England.